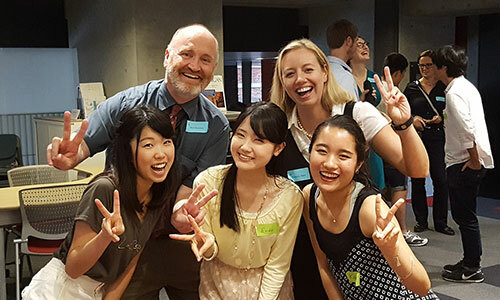 Japan has always had a presence in Neil Donahue’s academic life. And his Fulbright Fellowship in 2016 helped to cement that bond, jump started his new administrative career – and even started a new relationship between his son and the country. In his academic life, Prof. Donahue has taught comparative literature, including the history of Japanese literature, written two academic articles on postwar Japanese and German fiction and even had a tutorial on the 11th-century classic about the nation’s Imperial Court, The Tale of Genji. That all sparked and maintained his life-long attraction to the land and interest in developing Japanese studies at his school, Hofstra University on Long Island. Already the Fulbright advisor, he applied in 2016 for and received a two-week fellowship in Japan for International Education Administrators. 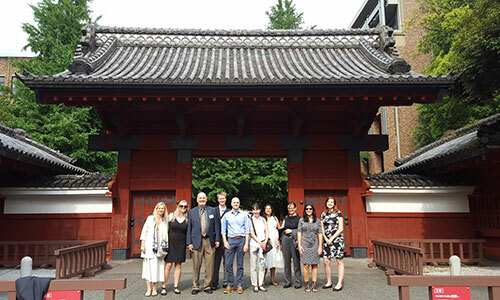 The seminar focused on administration and university visits, meeting with school administrators, professors, business and government representatives and students, and learning first-hand about Japan’s higher-education system. Prof. Donahue had just become Hofstra’s vice provost for undergraduate affairs and internationalization and its senior international officer. As part of his new position, he was and still is hoping to establish affiliations with more Japanese colleges, such as study abroad programs, including those visited like Kyoto’s Ritsumeikan University and, in Tokyo, Rikkyo University, University of Tokyo, and Waseda University, and Hiroshima Shudo University in Hiroshima. 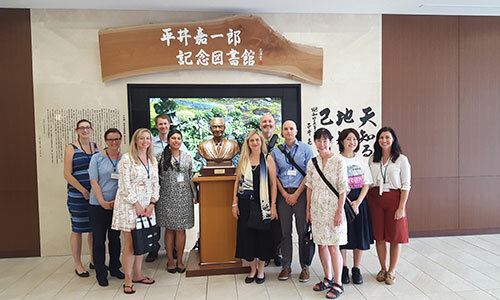 The Tokyo itinerary also included a women’s university, high school, major human-resource firm and the education ministry. 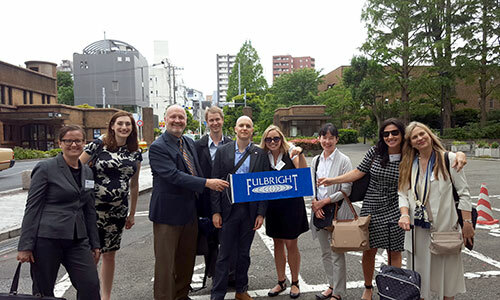 “I learned an enormous amount about Japan’s system of education from top to bottom – that is, from the governmental and corporate views to the feeder high schools, and how both relate to higher education and national goals, and how those high schools and universities view those same goals from the point of view of implementation,” he says, adding that the fellows learned about more programs and scholarships for study in Japan that they could publicize at their respective schools. Before the trip, he studied Japanese on his own for about two to three months, practicing with his college-age son, who actually has continued to study the language after that. 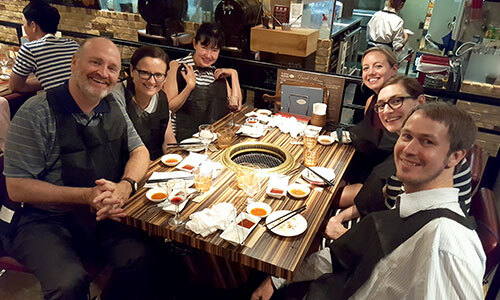 Prof. Donahue, who had a Fulbright in the 1980s in then West Germany as Ph.D. student, still keeps in touch with his fellowship colleagues from Japan, noting they were administrators in admissions or international student affairs around the U.S.